Please join us as Athletics hosts our fall advising presentation on the MSU Student-Athlete Academic Experience. 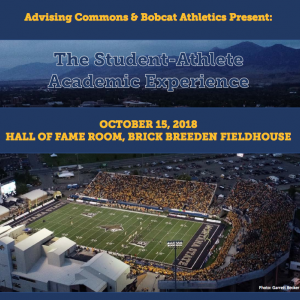 This session aims to educate campus partners on the various roles within Athletics Student-Athlete Support Services and the academic expectations, rules and regulations for student athletes. 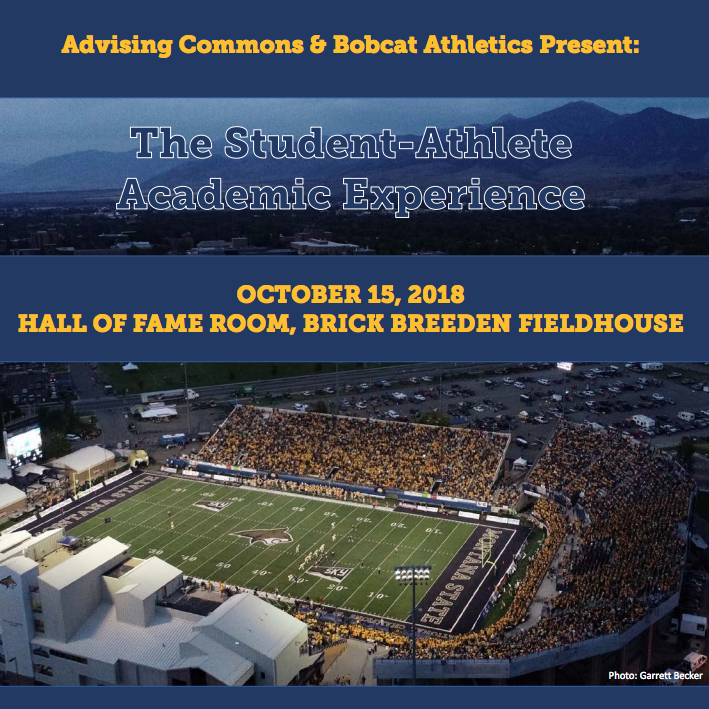 Our presentation will feature a student-athlete panel to spotlight the student-athlete education experience at Montana State University. This event is free and open to faculty and staff. Attendees are asked to use the link below to RSVP by 10/10/18. Light refreshments will be served.